Hybrid packing that combines the properties of aramid and GFO, resulting in a excellent product for high pressure valves and reci-procating duties. The strong aramid corner posts resist extrusion from the stuffing box while ensuring that unwanted particles are excluded. self-lubricating packing with superior gliding properties. Resistant to a wide range of media including water, oil, solvents and weak acids and alkalis. Hybrid packing that combines the properties of GFO and aramid, resulting in a excellent product for dynamic and static applications. Suitable for a wide range of applications such as steel and shipbuilding industry, refineries, power plants, mines and quarries, paper & pulp industry, etc. Smart-Shield offers an extensive range of Non Asbestos Packing, designed and constructed to minimize maintenance costs whilst maintaining production efficiencies from the whole selection available, using the most advanced packing fibers, the highest quality braiding methods and the best lubrication processes. 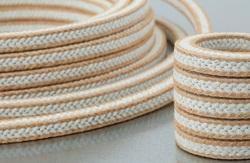 PTFE Packing is made from 100% virgin PTFE yarns with self- lubricating content for superior heat dissipation. This packing offers low coefficient of friction which ensures easy operation and actuation of any valve. The Packing needs no external Lubricant, no Oil, and has no chance of burning. An interlace, square braid packing manufactured from Aramid fibres impregnated with PTFE dispersion and specially treated with high temperature break-in-lubricant. This packing is well suited to the needs of many industries, particularly where physical strength in a packing is required, It is ideal for use as anti-extrusion, abrasion resistant, back-up rings, with other packing types, to increase the life of any packing combination. 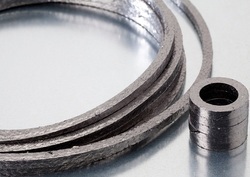 Low coefficient of friction offers significant improvements in rotatory applications, minimising any wear. High dimensional stability and pressure resistance even at high temperatures. An exceptional packing for use in centrifugal pumps, reciprocating pumps and mixers, which resists abrasive effects of suspended solids and sheer stress effects of viscous media. 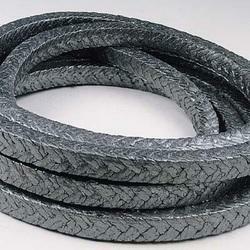 Suitable for use in paper & pulp industry, refineries and wastewater treatment. with dense impregnation of Carbon which is designed to replace and outlast traditional packings, particularly in abrasive media and high pressure rotary applications. The high content of carbon ensures excellent heat dissipation and very low friction which results in minimum shaft wear. 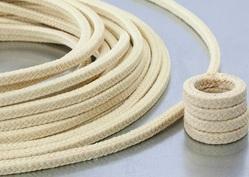 The base fiber (Aramid) provides high strength and stability. 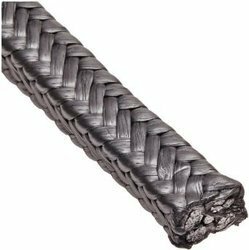 This Carbon Packing is made from combination of Pure Carbon Fibers and Flexible Graphite yarns with Carbon fibers at the Corners and flexible graphite yarns at the core and face of the gland packing. 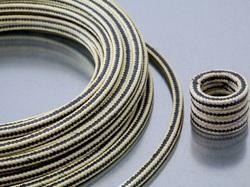 This combination provides excellent flexibility and Compressibility. This packing is designed for High Temperatures, chemicals and for valve applications. Resistant to a wide range of chemicals with exception of powerful oxidizers. An exceptional packing combining carbon and Inconel to produce a product for sealing valve glands in high pressure and high temperature applications. Suitable for a wide range of applications as petrochemical plants, power plants, refineries, boilers, chemical processes, steel industry, etc. 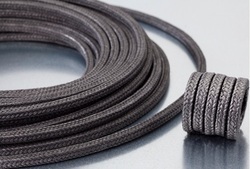 Expanded Graphite Rope made of expanded yarns with a low chloride content reinforced with Inconel wires and coated with a graphite-based mix. contains a corrosion inhibitor to protect the valve stem and the stuffing box. This special structure withstands high pressures and gives frictionless sealing providing good life to the packing and Sleeve. 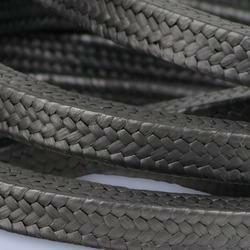 FLEXIBLE GRAPHITE made of expanded yarns with a low chloride content reinforced with Inconel wires and coated with a graphite-based mix. contains a corrosion inhibitor to protect the valve stem and the stuffing box. This special structure withstands high pressures and gives frictionless sealing providing good life to the packing and Sleeve. 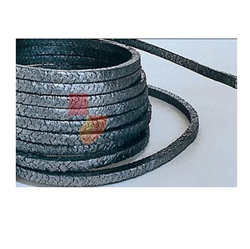 Gland Packing is Braided from 100 % Virgin PTFE Yarns which are then pre-treated with continuous graphite impregnation, it has self lubricating property which assists dissipation of heat, which ensures negligible hardness, no friction and hence results in minimal shaft wear. 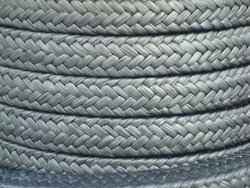 Gland Packing Rope is Braided from 100 % Virgin PTFE Yarns which are then pre-treated with continuous graphite impregnation, it has self lubricating property which assists dissipation of heat, which ensures negligible hardness, no friction and hence results in minimal shaft wear. Gland Packing Seal is Braided from 100 % Virgin PTFE Yarns which are then pre-treated with continuous graphite impregnation, it has self lubricating property which assists dissipation of heat, which ensures negligible hardness, no friction and hence results in minimal shaft wear. Packing made of expanded graphite yarns with a low chloride content reinforced with Inconel wires and coated with a graphite-based mix. contains a corrosion inhibitor to protect the valve stem and the stuffing box. This special structure withstands high pressures and gives frictionless sealing providing good life to the packing and Sleeve. Graphite Packing Seal made of expanded graphite yarns with a low chloride content reinforced with Inconel wires and coated with a graphite-based mix. contains a corrosion inhibitor to protect the valve stem and the stuffing box. This special structure withstands high pressures and gives frictionless sealing providing good life to the packing and Sleeve. 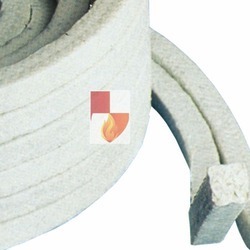 Graphited PTFE Packing is Braided from 100 % Virgin PTFE Yarns which are then pre-treated with continuous graphite impregnation, it has self lubricating property which assists dissipation of heat, which ensures negligible hardness, no friction and hence results in minimal shaft wear. 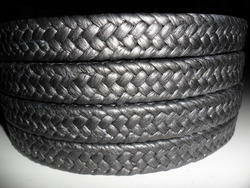 Non Asbestos Gland Packing Rope is Braided from 100 % Virgin PTFE Yarns which are then pre-treated with continuous graphite impregnation, it has self lubricating property which assists dissipation of heat, which ensures negligible hardness, no friction and hence results in minimal shaft wear. 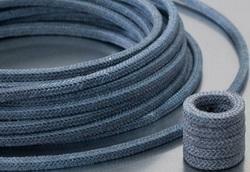 Offers high resistance to extrusion that will operate at high peripheral speeds. Hybrid packing that combines the properties of aramid and PTFE, resulting in a excellent product for high pressure valves and reci-procating duties. It is an excellent dynamic packing for rotatory and reci-procating duties, for applications where unwanted particles exclusion is required. Looking for Gland Packing ?